2012 may not be remembered as a fantastic year for pure western role-playing games (especially without a Skyrim to sweep the end-of-year awards) but it's been a great year for me as a video game fan. Why? Because many of the "best games of the year" may not be RPGs, but they've adapted some of the best components of RPGs to become stronger games. XCOM: Enemy Unknown, for example, is one of the best-received games of 2012, due in part to its use of RPG mechanics. Tactics games are often associated with RPGs (especially Japanese-style tactics games) but the connection isn't always so concrete with "western" games. For example, I don't really qualify the original X-COM: UFO Defense as an RPG, due to its too-large squads filled with personality-free squaddies, whereas Jagged Alliance 2 certainly fit the mold. XCOM tweaks the initial game's form in ways that align with traditional role-playing games. The squad size is limited to 4-6 characters, traditional RPG numbers, and only having one base means you rarely need large numbers of squaddies – I never had more than 15 at once, and even that was high due to playing on "Classic" difficulty. It also slightly decreases the importance of the strategic decision-making level, putting the focus on the characters in the field. It's the level of RPG-like character customization that makes XCOM different, and in many ways stronger, than its predecessor. Spending time customizing character face, voice, and hair is a hallmark of an RPG (although those options are too limited for my tastes). On the other hand, the ability to customize armor color and design gave instant differentiation and personality to the soldiers. But the RPG-style customization isn't simply cosmetic. XCOM assigns the soldiers into classes. As they complete missions, they gain promotions, which act as levels, and with those, they're given new skills, most of which are choices. A third-level Sniper gets to choose between the "Squadshot" skill and the "Snapshot" skill, letting you customize a character for accuracy or mobility. I'd still hesitate to call XCOM an RPG but I wouldn't hesitate at all to say that it's a better game for its similarities to RPGs. The Walking Dead, an adventure game set in a zombie apocalypse, is another surprise success and one with roots in role-playing games. It's been most lauded for its "moral choice" system, where the decisions you make have immediate impact, as well as long-term consequences across the game's five episodes. Although some adventure games have offered some moral choice in the past, the particular form used in The Walking Dead is more similar to the RPG-style choices popularized by Fallout. But the main reason The Walking Dead succeeds with its choices is that it combines and refines the innovations of the two big recent BioWare series: Dragon Age and Mass Effect. The most interesting aspect of Dragon Age's system was that it removed the straightforward good/evil distinction, and instead focused on your character's relationship with his or her party members. The effects of the choice in the world existed without overall judgment, the only thing that mattered was how the other people viewed you. The Walking Dead does the same, but makes those group dynamics the most important part of the game, instead of one part of many. Prior to The Walking Dead, the Mass Effect series had been the games which best allowed you to develop your in-game protagonist. Commander Shepard is yours, from the history selection to all of the in-game choices and their repercussions. This strength is increased by the fact Shepard's adventures are serialized; he or she transfers from game to game with an understood history. 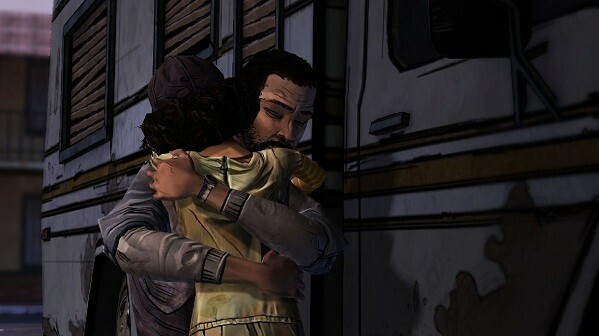 The Walking Dead's Lee Everett equals or surpasses Shepard, due in large part to his adopting of a little girl, Clementine, and how he attempts to protect and teach her during the zombie apocalypse. 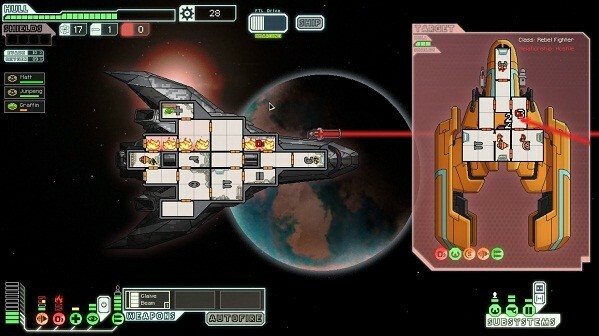 Finally, there's the indie hit FTL, or Faster Than Light, wherein you control a spaceship as it traverses the galaxy while struggling to survive, like the opening episodes of Battlestar Galactica or a Star Trek: Voyager that doesn't stink. FTL's content is randomly generated and includes permadeath, leading many to call it a "Roguelike," traditionally a subset of the RPG. Yet if FTL is an RPG, it's not one where you roll a set of characters and send them on adventures. Your "character," as it were, is the ship itself, with its crew members acting more as skills to be developed and applied than anything else. What FTL is particularly good at is building the feeling of "playing a role," that mysterious goal of RPGs (and many other games). You are some combination of the ship and its captain, building emotional and intellectual connection to the ship and its journey over the course of each playthrough. It's an impressive feat on its own, made even better by the relative accessibility of the interface. I'd recommend it to anyone to at least try, but RPG fans may be especially intrigued. As an RPG fan for decades, I've found that the genre has often been used to develop ideas that would become common across genre, like strong filmic narratives and open worlds. XCOM, FTL, and The Walking Dead demonstrate that this is an ongoing process. Even though they aren't role-playing games, many of the best games of the year show the value of the genre across gaming.